On May 30:th 1967, the densly populated, oil rich, province Biafra with 14 million citizens proclaimed its independence from Nigeria. 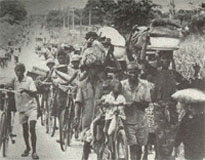 A blockade was already in force and on July 6:th the military attack started by Nigerian troops, who then numbered 100 000. Throughout the war, Nigeria got support from abroad in the form of armour, artillery, aircraft and ammunition. Biafra got no official support from other nations, and had to manufacture about half the weapons used locally. They had only 3000 troops when the war broke out, but still managed several successful counterattacks. When the collapse came early in 1970, they numbered 30 000. Nigeria had, and got, MiG-17s, Il-28s, L-29 Delfins as well as DC-3s and helicopters. On the other hand, they had few pilots, and it's likely only one Nigerian pilot took part in combat operations. During the war, Nigerian air attacks were directed only against civilian targets and had no military significance. The Biafrans had pilots, but very few aircraft. They had two B-25 Mitchells and one B-26 Marauder, which was captured on the ground as it was unservicable. Later on they got another B-26, which during Oct - Dec were used for night raids together with the B-25s and a converted DC-3. The B-26 and DC-3 crashed, the B-25s were captured on the ground. The Nigerians also used DC-3s converted for bombing, for example of the airfield used at nights for relief flights from abroad. 5513 relief flights brought in 61 000 tons of foodstuffs, but Nigerian AAA never brought down any of the aircraft, and the only one shot down by a fighter was a Red Cross flight which had its flight plan approved by Nigeria. Still, 11 aircraft were destroyed and 21 pilots killed by attacks on the airfield. One of the relief pilots in 1968 was the Swede Carl Gustaf von Rosen. He saw that Biafra was unable to acquire jet fighters, and brought up the idea of Minicoin with general Ojukwu. In the spring of 1969 five MFI-9Bs were assembled in Gabon, painted in two green colours (Volkswagen car paint) in three large fields, given simple sights and two pods for six 68 mm anti-armour rockets, and given an extra fuel tank in the fuselage. 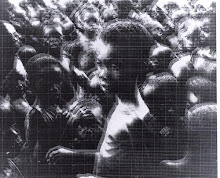 They were named "Biafra Babies". At first, the squadron had three Swedish pilots and three Biafran. The first attack started on the morning of May 22:nd with a transit over the sea, followed by an attack on the airport at Port Harcourt. Two days later, the second attack was a dawn attack against the airport at Benin. The third attack, also two days later, was a dusk attack against the Enugu airport via a very roundabout course. This kept the Nigerian air force on the ground, making it easy for a while for the relief flights. But after a while they started again, now attacking military targets like they hadn't before, because they were protected by AAA. The fourth attack was against the important powerplant in Ugheli, which was out of commision for six months after. 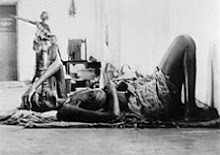 On May 30:th, the fifth attack had a troop concentration at a village outside Owerri. They never saw any target, in spite of the flight leader climbing to 100 m to try to locate it. 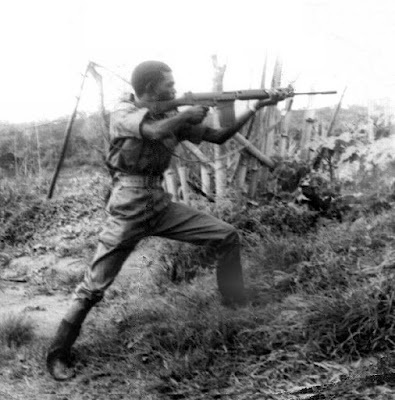 Upon returning, they learnt from this that they had been under fire, which they never noticed, and that it was a correct decision not to fire at uncertain targets, as there were lots of Biafrans in the area. After this, the Swedish pilots had to return to Sweden, leaving only one trained Biafran pilot in the air force. During July another Swedish made him company during 21 attacks. 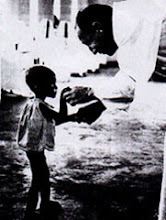 In August pilot training was started in Biafra under von Rosen's leadership and with one Swedish teacher. Later, in September, Biafran pilots training abroad, for aircraft it was realized would never arrive, were recalled to Biafra to fly the Biafra Babies. 12 T-6s had been purchased, but they were all in bad condition, so only four could be made to fly. During the transit to Biafra, two were lost. The remaining two were used together with the MFI-9s, of which a total of nine were in service. During the latter parts of the war, two MFI-9s were lost. Normal tactic was to begin with to attack with 4 - 5 aircraft at a time. The unit was kept together approaching the target, with a separation of 50 m or less, as a larger separation would lead to loss of visual contact between the aircraft. The very low flying altitude was necessary to avoid beeing fired upon, both over enemy and own territory, it was found. Radio silence was ordered except during the actual attack, when target information had to be passed on. The tactic to ensure that a chosen target was destroyed before any remaining rockets were used on other targets was adopted. The rockets were only fired two at at time. Anti-armour rockets were chosen because it was decided that all attacks would primarily be anti-materiel, and only military targets attacked. During the first attacks, pop-ups to 100 m followed by shallow dives were made, but as this was when AAA was most effective and the rockets had very flat trajectories, it was found that it was enough to climb to 2 - 5 m and fire the rockets during level flight. Firing range was usually 800 - 500 m, but when firing at closer ranges, in no case were an aircraft damaged by its own fire. Dawn and dusk attacks were most effective, as AAA fire wasn't as good then. For qualified targets, the day before was used for careful briefing and planning, that's why only one attack every second day. Later on, attacks with 1 - 2 aircraft were made with less planning against smaller targets. For close support work, metal sheets were placed on the ground close to own troops, and signal flares from the ground used to mark when the enemy was in sight. More than 5 min was never spent over the target. Many aircraft were hit by small calibre fire, but managed to return with as many as 12 hits. Servicability was close to 100% in spite of this. At most three attacks per day were performed. All this from the book _Gerillapilot i Biafra_ (guess I don't have to translate that) by Gunnar Haglund, 1988. It's got pictures and an English summary.